+1 for the Zoom H4n (for the money). Not a big fan of the H2 (with no XLR inputs and all). 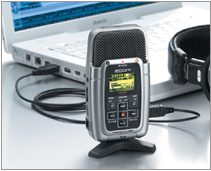 The H4n is a great value for the price($300). It sounds good enough on its own (great for those times when you used to say "Crap, that sound it awesome, I wish I had a recorder on me!). I love the XLR jacks too. That's the biggest selling point for me. Real XLR jacks with real phantom power. 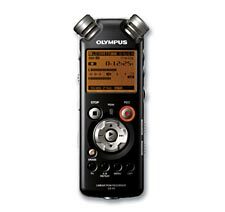 However, the sound quality fails in comparison to my Sound Devices 702T (my sound effects recorder of choice), although it hardly falls into the "Entry Level" category. I love my Sound Devices 702. Don't have a single complaint about it. Amazing recorder, great battery life, extremely easy to use and very flexible, with an amazingly in-depth menu. Doesn't provide bias power for lavs though, so you either need to go wireless on the lav (which I'd usually do anyway) or get a dedicated power supply for the lav. I do all of my effects recording on a 702 or a Zaxcom Deva V (if I'm doing a large session with tons of mics). The Sony PCM-D50 is great too, but again, no XLR connectivity. Of course you can adapt, but it just doesn't ever work out too well... Decent sounding recorder though. I'm of the opinion that the built-in mics in sound a little better than the Zoom's mics, but then again, they should, because it's $150 more. I had a Korg MR-1 for a while. It sounded amazing, when it worked. I went through 3 of them (all replaced for free). They liked dying on me. I haven't heard that from anyone else though, so maybe I just had some bad luck. In general, I'm a fan of DSD (1-bit/Direct Stream Digital) recording, but it's not widely supported, so ended up being more of a hassle than anything. It's a great sounding recorder, but again, I had to use adapters to be able to use any real mics. The thing I like about the Korg over most other portables that lack XLR jacks is that it had two balanced mono 1/8" mic inputs instead of a single unbalanced stereo mic input. 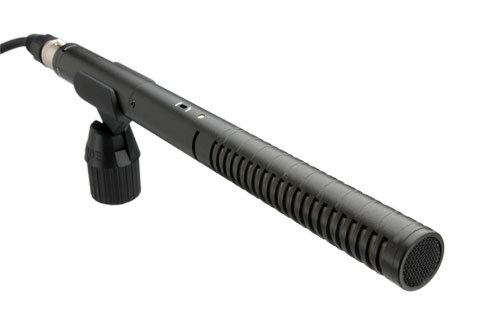 Easily adaptable to XLR (no funky splitting from 1/8" stereo to dual XLR or anything). It also provided Bias power (for lavs) or 48v phantom which was nice. EDIT: I also have one of those Olympus LS-10 recorders. Decent sound for quick recordings (the whole "crap I wish I had a recorder" thing again...). Also, freakin awesome because of how small it is and easy it is to use. Price came down a lot since I bought it. I'd say go with the Zoom over the Olympus though for the same price, unless size is a factor for you (the Zoom is fairly large for a Handheld recorder). It really depends what you want it for. Figure that out, then find the recorder that fits your needs. They all have different benefits. I highly recommend the Sony PCM-D50, particularly for stereo sound fx recording and music. I was hesitant to purchase it because there weren't XLR inputs, but I was mainly looking for high quality mics and preamps, and for the money this one became a no brainer. 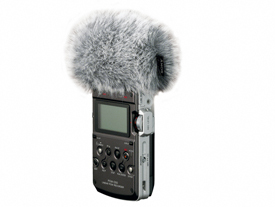 If you're more interested in finding a handheld recorder to act as a storage device (meaning you want to plug other mics into them), then the cheaper Zoom models may be the way to go. (Though I can't vouch for their pre-amps). But for an all in one recorder AND stereo microhpones AND preamps, you can't beat this. I've recorded ambiences from China to Sweden to the icy streams in New Hampshire, and the sounds are crisp, clean and beautiful. Definitely consider the Zoom H2. If it's in your price range, you won't be disappointed. It takes SD (Secure Digital) cards, so you can easily bring more storage with you, and it does an amazing job. The Zoom H2 is great to get started. I also have a dedicated recorder for heavy recording sessions, use of different mics etc... but the little H2 is always in my pocket. It's a fantastic machine and a really good value for the money. If you're interested in better quality for your pocket recorder, I would recommend a Sony PCM-M10/R. Anyway even if you are thinking to buy a better recorder in the future, having a little one with you all the time is great. If you want to go as cheap as possible, the 'Zoom H2 Handy Recorder', as is it's long and actual name, is actually quite handy. Even if you do end up buying something better, it's so small you'll definitely find uses for it. It's really easy to toss in a shoulder bag (or a man purse, or just man purse, 'cause that's what a shoulder bag is, a man purse), or toss in your pocket. As well, it can always be used as a back up. It's a self contained unit, mics, power, and storage are all on board, so it's super easy to toss on a tripod and set up next to your other field recording mics. I've never held a Zoom H4, so I can't say much about it, if someone else has one, chime in! I've also only used a Sony PCM-M10 for like, an hour, so I can't say much about that, either. I think it sounded better than my H2, but I didn't have my H2 on me when I got to borrow it, so I couldn't do any A-B'ing with what I was recording. But H2s are pretty awesome, mine goes everywhere with me. If you pick one up, you'll probably take it everywhere you go, even if you get something better, it's just so darned handy! Just consider the use you want do with it. The Zoom H2 is the best choice for portability and price, but you won't have XLR input connections. I've used H2 with a shotgun mic (Rode NTG-2), an autobuilt stereo mic with electret capsules (it provides plug-in power) and with a Rode NT4 stereo mic through the H2's minijack input and it works pretty well. The H2 built-in microphones are good, and maybe you will never need an external miic as you can set several configurations 90, 120 degrees, front, rear and quadriphonic... Moreover: H2 can be used as a Audio-card, The H2 can save your audio in wav format up to 96khz-24bit and in every level of mp3 compression - no other portable recorder can do that. This link is in Italian but may be of some help. Update: Although I still love my trusty Zoom H2, which I simply cannot believe is still functioning and delivering quality recordings after over 10 years (and lots of unkind handling), I can also heartily recommend the Shure MV-88, a truly pocket sized, variable pattern device that attaches to my iPhone via the Lightning connector. It allows for XY, mono cardiod, even MS and, for the money (around $250), sounds really great. I can upload my recordings to Dropbox, to boot, which is a great safety net to have while traveling. I've been very happy with the Zoom H2 for both background and fx recordings, and have had no problem using those recordings in my work on films and video games. Of course, at its price point there are a few limitations, such as pre-amp noise at high gain levels, less than sturdy case construction and lack of XLR jacks, but I'm a firm believer that having a recording of something, even if it's not the best recording ever, is better than not having that recording at all. 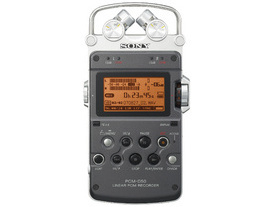 Can the Zoom H2 be the only unit you use to gather new sounds? No. But, if your budget is very tight, or you are just getting into location recording, it's a great choice. Sony PCM-M10. Here's a review. The next lesson to learn, NEVER pay MRP/RRP. The list price on the H4n was $899 (Australian) and I got it for $499. Haggle for the best deal, because markups on this type of equipment are huge (might be different in larger markets like the UK and the States). I own an Edirol R-09, but I am seriously considering buying the Sony PCM-D50, as I would like to have a recorder with good enough built-in microphones to eliminate the need for an external mic. I use the Røde NT4 with the Edirol, but I would really like to have a setup that is a bit more portable, so that I can have it with me all of the time. The Zoom H4n is a godsend. I work for a pro post house, and we have four of them as backups to our Sound Devices rigs. They always produce usable recordings. Hello guys, I've recently bought an Edirol R-4, after my first recorder, the Zoom H2 which I still use for recording quick sketches. I am the happiest sound recordist ever with that R-4, I must say. Four tracks, portable, 96khz... For a while I have finished my search. I recommend the R-4 if you need to record with multiple microphones, but you have only one chance. I use it with the Rode NT-4 and a couple of Neumann KM 184s for a recording session of the popular Italian game, "la morra". It is not cheap, as it cost me 500 euros. I got Sony PCM-D50. Really worth the extra money. I have a Zoom H4n. I think it is the way to go for the pre-amps, audio quality and price. It's really easy to use, and you can quickly and easily access all its many functions. The Sony PCM-D50 is the top for the quality of the built-in microphones. I recently bought one after a massive research. I love the core functionality, and the interface is solid. For the price I think it's the best deal right now. The Zoom H2 is a great little machine for the price range. Check out this related question, it has an answer that talks about the Zoom H2. Georgi's mention of the [PCM-M10] a good one. 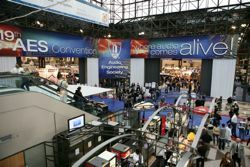 I saw it as the AES convention last year and it looked like a nice and small recorder. I don't know about the quality though. For my first gear purchase I got the Zoom H4n for $299 on Sweetwater. I've used it for field recordings and sfx and it's great. Not only idiot-proof but the 2 XLRs are great. I'm saving up for a proper shotgun mic and boom but it's good to know in a pinch, the Zoom has got my back. +1 for the Zoom H2. I've had mine now for the last year and its never let me down. Its small in size and takes SD Card and regular AA batteries. Another thing about the Zoom H2 is just how easy it is to get recording and the features it comes with. MP3 and .WAV up to 96khz! Not to mention that it comes with 4 built in mic capsules for 360deg recording. Sure, the H2 doesn't have XLR inputs but I think most people would just use it in a simple manner and the price is just crazy! Have anyone using this ? Has anyone else considered / tried the Blue Microphones Mikey with an Apple iPhone using software like FiRe or McDSP Retro recorders? It may not win on best sound quality (though, judging by widely differing opinions and reviews of portable recorders, this is obviously a very subjective issue) but it is the ultimate in portability. I'm still waiting for the UK release of the updated Blue Microphones Mikey 2 but I've read good reviews of it online. I feel the best entry level portable recorder on the market today is the Sony PCMM10 You really cant go wrong with this unit. It is very user friendly and has just about everything you will need in a portable digital recorder. Yes, me too for the Zoom H1. I think the new design looks fantastic. However, Amazon is not selling them until September so we'll just have to wait! The Zoom H2 handy recorder has been a great friend of mine for the last couple of years and I'll be sad to see it go but the new Zoom H1 will no doubt make me happy happy happy! I ordered a H1 from Jigsaw in the UK. I then got in touch with ZoomUK as it'd been a couple of weeks. They're getting the stock from Japan at the end of Aug, start of Sept so not long to wait now! Can't wait for my new toy. Not the answer you're looking for? Browse other questions tagged portable-recorder newbie zoom recommendations or ask your own question. How's the Zoom H1 working out for you? Mid-priced Portable Recorders & Microphone.